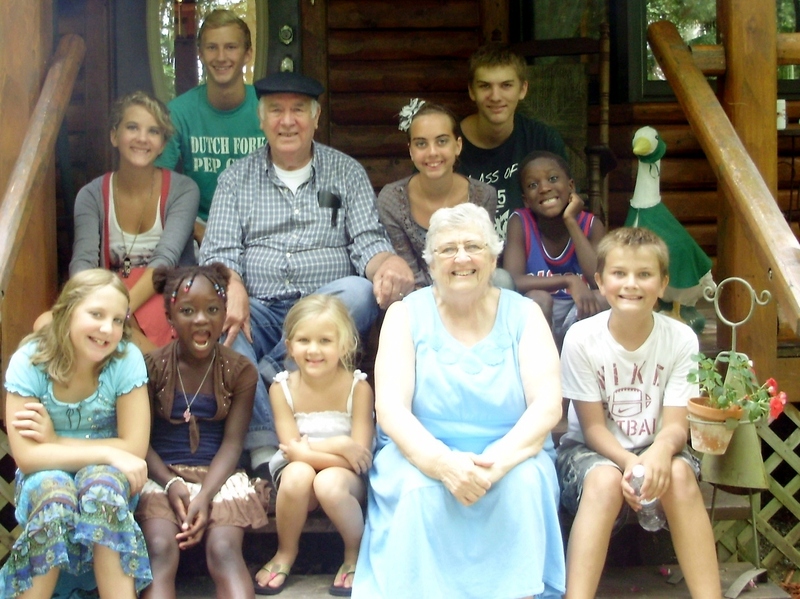 We’ve had a really busy week with nine grandchildren here and some of their parents! These have been days we’ll never forget. Here we are with the nine that are here. We have six more! We wish they were here too. The ages that are here range from 17 down to five! The South Carolina gang be leaving tomorrow morning. 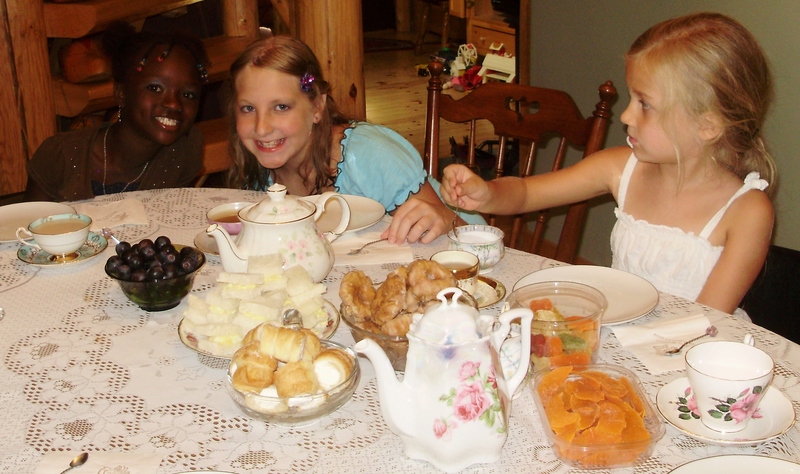 Yesterday I had a tea party for my granddaughters. It’s a special dress up time. Each one gets to pick out the Bone China cups and saucers that they want to use, even little Maddie. She’s only five and is so sweet, she got to pick first! I use my special tea pots. I made petite egg salad sandwiches. They seem to be special! We also had cream puffs, little donuts, grapes, and candied fruit. I made apple cinnamon tea. It smells and tastes so good! It’s very special for young girls! Going around the table are Megan – 16, Haleigh – 15, Elmise – 10, Bella – 10, Maddie – 5. I read the book, Reach For The Stars by Serge Bloch, to them. It’s a good book for all ages. Click on the pictures to see them closer. This entry was posted in Family, Grandchildren, Tea Party and tagged Family, Fun, Grandchildren, Tea Party. Bookmark the permalink. 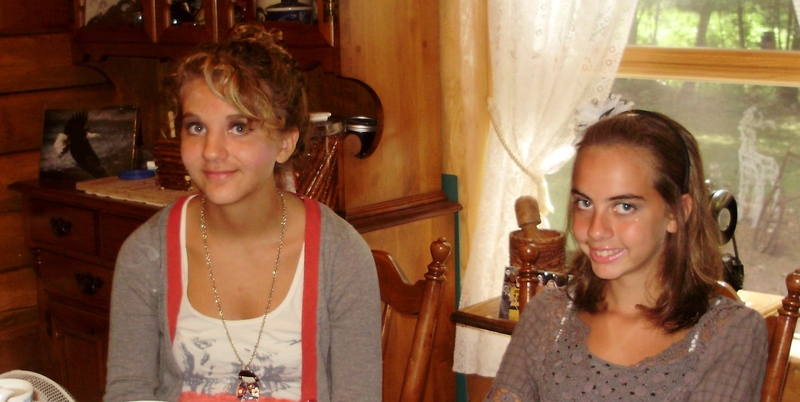 My sister-in-law used to have a community spring tea and fall tea every year. Lily (Bridgit’s daughter) and I went to many of them. I called it “making memories”! Dressing up, listening to literary readings, fancy foods and drinking tea with our pinkie fingers in the air!! Thanks for commenting, Iris! Tea parties are very special. It’s also teaching our young girls good manners and how to behave later in life at a “proper” time.